Slow-cooking is the way to go with this steak. Great for braising in broth and wine, served with a crusty French bread. A very lean cut that works great for slow roasting. Season heavily with a salt, garlic and herb rub - and plan for at least a couple of hours of delicious smells coming from your oven. A classic beef cut we make out of the top round. Marinate overnight, sear to no more than medium-rare and slice thinly across the grain. The ultimate comfort food for the Grass Fed Revolutionary. Just like mom used to make, but better for you! Whether you dry roast or braise, a rump roast is a classic meal for an occasion with guests and family. Convenient chunks of lean, grass fed beef ready for stew and chili. Add bold flavors and let it simmer! A great cut of beef to slow-smoke. 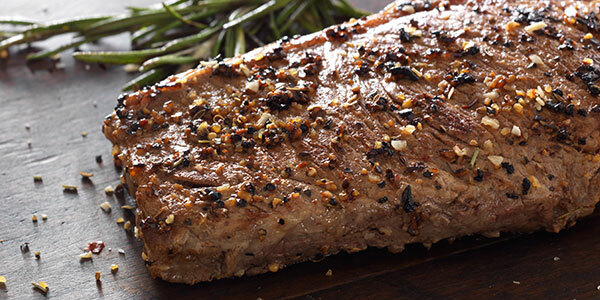 Marinate overnight and smoke it for a couple of hours and your barbecue guests will be amazed!